Valdivia is home to many German immigrants. So are neighbor cities Puerto Varas & Puerto Montt. Apparently, Germans were encouraged by the Chilean government to immigrate here in 1848. And so they did. Goddam, those Germans are freaking everywhere! Not only have we met more German travelers in the past year than any other nationality but here they were even in food (and beer) form everywhere in Chile! What gives Germans?! No offense to any of you & I love a lot of you but geez, you guys are all over the freaking world! Everywhere I have ever traveled has been filled with Germans! Sorry for the short rant but it’s a real phenomenon! Valdivia is home to one of the best beers in Chile, which is not saying a lot when you have stuff like Escudo & Cristal to compare it to (think Bud & Coors). 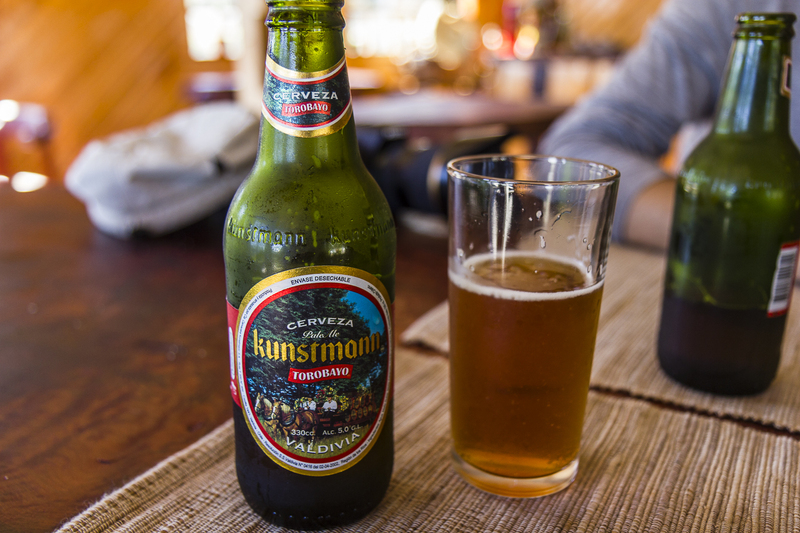 But Kunstmann is a good beer even compared with others in the world & they even have their own brewery here in Valdivia which I sadly did not visit (I know…I am embarassed being the beer lover I am but the food was supposed to be awful & it was raining much of the time we were here and ok, I was lazy). Kuntsmann even has their own version of Oktoberfest called Bierfest! Cheers for the Germans! 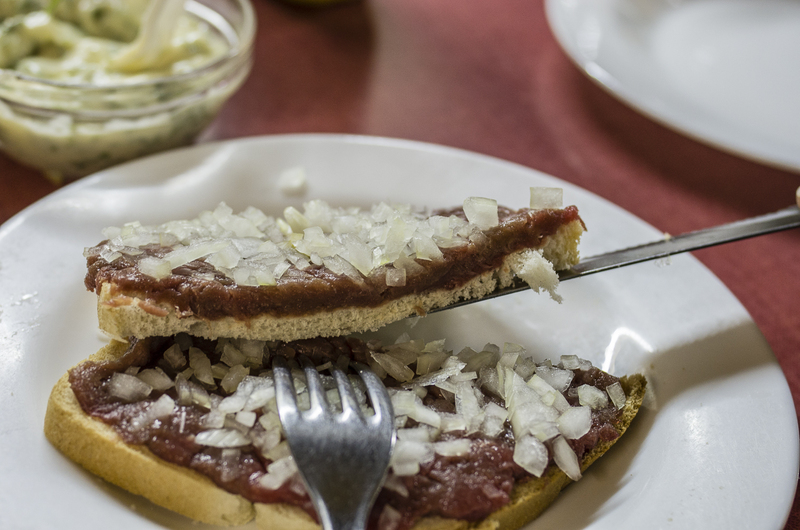 In addition to the beer and the widespread kuchen, I found a curious “German specialty” found only in Valdivia (which I still remain dubious to its origin) called crudo. I had never heard of crudo before. Steak tartar, yes, of course. But this poor mans version? Raw meat spread thin on white (practically wonder) bread! topped with minced onions & your choice of condiments left me perplexed. And here in Chile of all places?! I just HAD to try it! Naturally this drove me straight to the computer and a google search uncovered a German dish called ‘Mett’ which was a similar to this crudo dish but made with pork. Of all the Germans I have met in my day, I have never seen or heard of any ‘Mett’. Hey, any of you Germans out there reading can help validate (or not) this?! So when we passed by the famous Haussmann’s cafe, I couldn’t resist stopping in to have a taste. 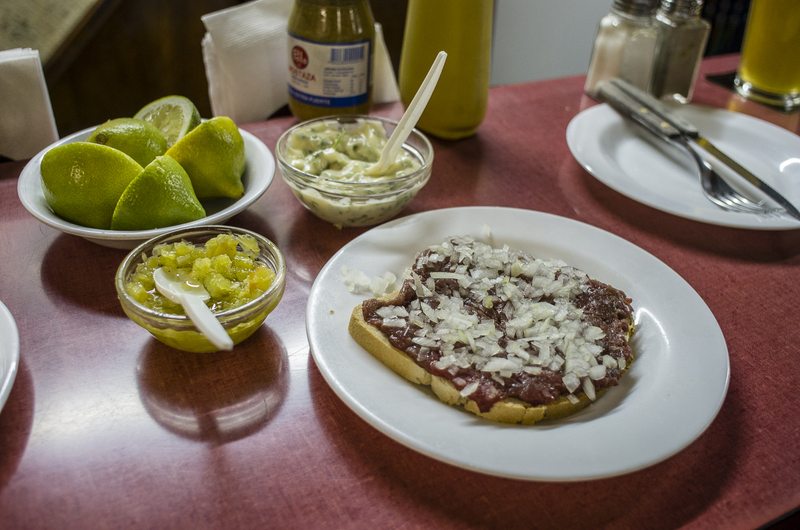 I honestly wasn’t too excited about trying it, I was more curious, but when squeezed with lemons (kind of ‘cooking’ the meat-as in ceviche) topped with the onions and some relish, I found it surprisingly tasty! Maybe it was all those Kuntsmann ales we washed it down with. In any case, I was happy to make the discovery of crudo. There are other things on the menu here too (mostly bar food like hamburgers, hot dogs, cheese steaks) but I urge you to come to try this unique dish, crudo. Haussmann’s is a cozy (read: small) place with friendly servers. 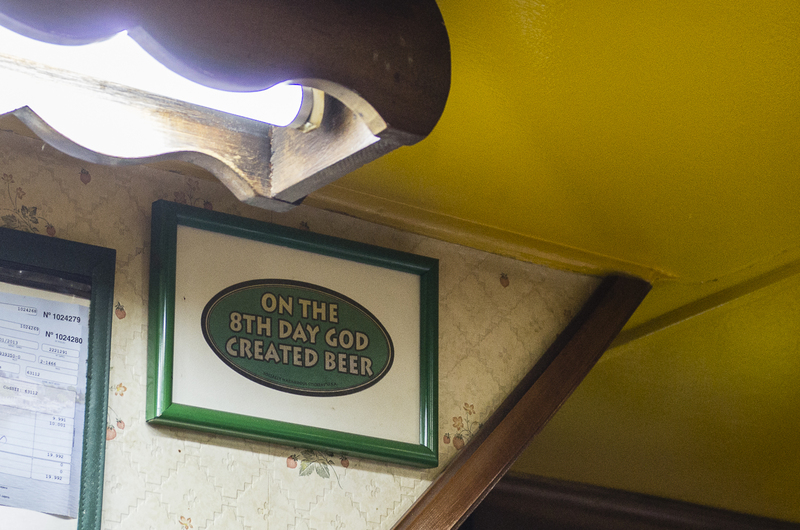 It’s got the feel of a neighborhood pub. Crudo is a very inexpensive dish and I highly recommend washing it down with a Kuntsmann ale and finishing it all off with a slice of homemade kuchen. A big ‘danke’ to the ubiquitous Germans! More information can be had by clicking here for their website. Really love your recommendations. That German Kuchen looks delicious! Thanks! 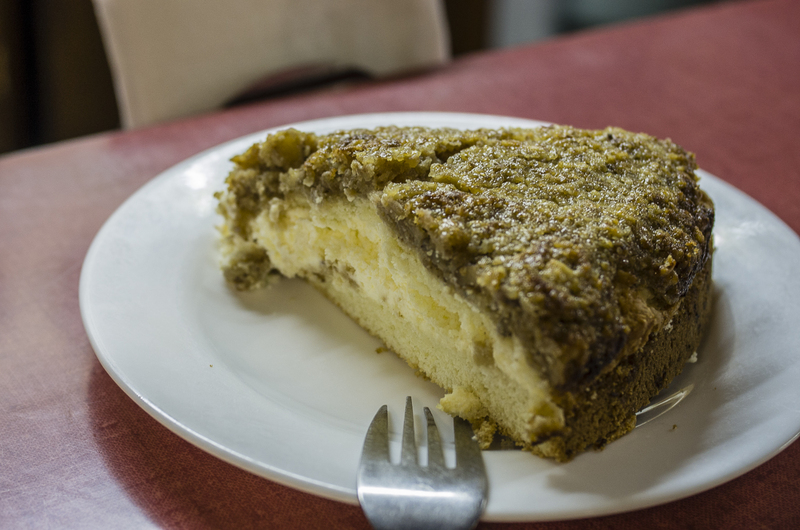 I couldn’t get enough kuchen when I was in southern Chile!